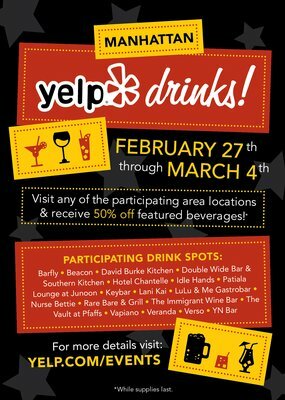 Now through Sunday treat yourself to some half priced drinks at dozens of NYC bars and restaurants thanks to Yelp. There are participating bars in Manhattan, Queens, & Brooklyn (including free beer at 61 Local). Check 'em out! Free Italian Ice + Free Macarons + Free Pizza!